Catriona was born and educated in Essex before taking a degree in Art History at UEA in Norwich. Her musical training was undertaken at Trinity College of Music and the Royal Northern College of Music from which she graduated with distinction. She began her professional life as an opera singer with the chorus of Scottish Opera and was the recipient of the John D Scott Award for young soloists when she left the company to pursue her freelance solo career. Since then she has returned on a regular basis to Scottish Opera and has worked with them on a variety of roles including Rosina (Barber of Seville), Waltraute (Valkyrie), Salome (Salome) and Ines (Ines de Castro). She has performed widely elsewhere in the UK adding other roles such as Cio Cio San (Madam Butterfly), Senta (Flying Dutchman) and Leonora (Il Trovatore) to her repertoire. She sings regularly as a recitalist and in oratorio and has appeared in venues such as the Queen Elizabeth Hall, the Purcell Room, St John’s Smith Square and the Royal Opera House. 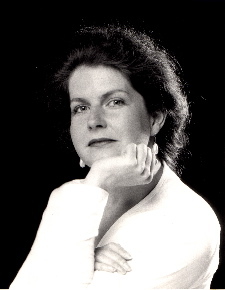 Throughout her career, Catriona has been fortunate enough to benefit from tuition and advice from internationally renowned singers including Birgit Nilsson, Brigitte Fassbaender, Rosalind Plowright, Anthony Rolfe Johnson and Elena Obraztsova. She also studied with Mary King at 'The Knack' at ENO. Catriona has an established reputation as a singing teacher in the Essex and Herts area. She currently teaches at New Hall School in Chelmsford and runs the vocal consultancy for ‘Totally Vocal’ which provides vocal tuition and advice for individuals and groups across a broad range of age and ability. She is a member of AOTOS, ISM and the BVM. John Nicolson was born in Scotland. He read music at Hull University and studied as a postgraduate at the Royal Academy of Music where he won several prizes. He has an extensive repertoire, particularly as an oratorio singer and has performed as a soloist at most of the major venues in London, including the South Bank and St. John's Smith Square, as well as throughout the UK and abroad. He has also toured extensively singing operatic roles including over 30 performances as Don Ottavio in Mozart's Don Giovanni. As a member of VOCEM, the electric voice theatre company, John has, on numerous occasions, taken part in premier performances and broadcasts throughout Europe. John is now also in demand as a teacher of singing. He has taught at the Birmingham Junior Conservatoire and Birmingham School of Speech and Drama. He currently teaches at Morley College’s Centre for Young Musicians, is one of the vocal tutors for Totally Vocal’s annual Summer School and has a busy private practice in Central London and at his home in Surrey. 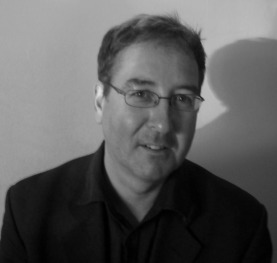 Patrick Dunn has been the course’s vocal coach and accompanist since 2005. He studied piano with Kenneth van Barthold in London. At Trinity College of Music he attended the post-graduate accompaniment diploma course where he also studied harpsichord and composition. He obtained the piano performance diploma (L.G.S.M.) from the Guildhall School of Music in 1992. In 1994 he continued his musical studies at the Ecole Normale de Musique de Paris. He remained in Paris for three years during which time he was fortunate enough to work with some of the leading music groups, conductors and singers in France. In 1996, he was appointed repetiteur at Scottish Opera in Glasgow, where he also worked as vocal coach/repetiteur at the Opera School of the Royal Scottish Academy of Music and Drama. He returned to London in 1997 and continued working with singing teachers, singers, various choral societies, chamber choirs, chamber groups and opera companies. In 2006 he successfully completed a Masters degree (M.Mus) in Historical Musicology at Goldsmiths College, University of London. 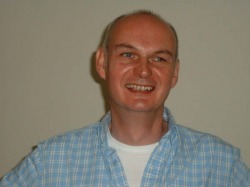 He currently teaches at a Performing Arts Specialist School in south London and is Organist and Church Musician in Kent.